The first mishap of my big trip happened when I got to the Pierce graves. I kept my tripod in my car since I was going to use it for pictures of me in front of the Presidents graves. The nights got cold and from my tripod getting sticky from a bottle of syrup breaking in 2004, one of the locks on the tripod broke and the legs would only go down to a certain height which made for some interesting pictures. 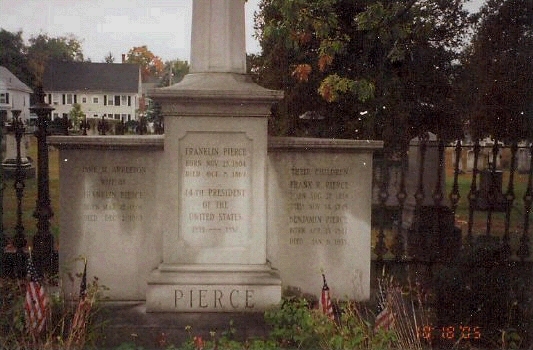 Their children are also buried with President and Mrs. Pierce.